In June 1973, Robert Vas Dias organized the second of three biennial National Poetry Festivals in Allendale, Michigan, where he was serving as the poet in residence at Grand Valley State University’s experimental Thomas Jefferson College. On the afternoon of Saturday, June 16, the festival hosted a conversation entitled “Objectivists and After,” largely centered around the experiences and memories of three poets who had been associated with Louis Zukofsky and published as “Objectivists” in the early 1930s: George Oppen, Charles Reznikoff, and Carl Rakosi [Callman Rawley]. The two video clips presented here comprise a little more than an hour of that conversation. In the first clip, following a brief introduction by Robert Vas Dias, Carl Rakosi (bald with glasses and wearing a checkered short-sleeve shirt), George Oppen (wearing a long sleeved white shirt), and Charles Reznikoff (bald and wearing a suit coat with the sleeves of the shirt underneath prominently visible) offer some remarks and respond to questions and comments from Robert Duncan, Allen Ginsberg, and Ted Enslin. 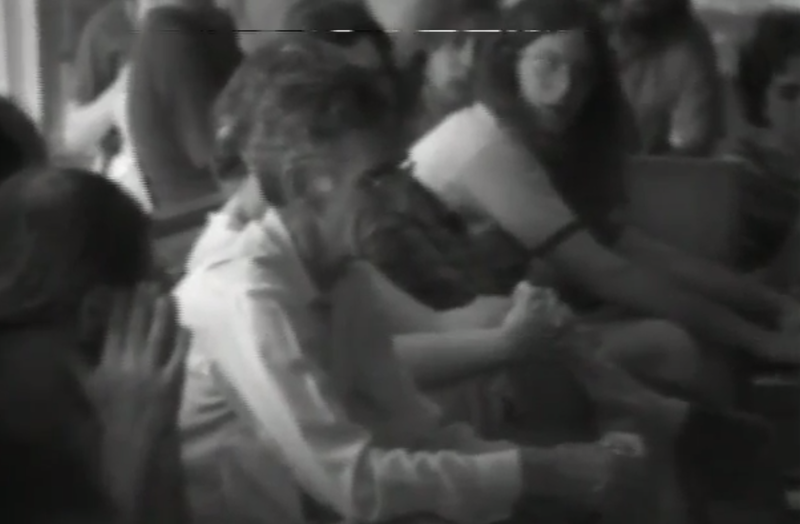 This conversation between the five men continues into the second clip, during which Reznikoff, Rakosi, and Oppen respond to questions from members of the audience. Some parts of the interview were lost as the unknown camera operator switched between tapes, but Richard Swigg has produced a transcript of the entire conversation from a more complete audio recording of the event.